Rich and creamy, this Homemade Ranch Dressing will be the best you have ever tasted. This is the only kind of Ranch Dressing that we eat in my home! This recipe is low carb, keto friendly, gluten free, and a Trim Healthy Mama S Recipe. This delicious Homemade Ranch Recipe is not original with me. Rohnda, (who is the photographer behind the beautiful Trim Healthy Mama cookbooks) is closing her own blog, and offered her recipes for others to post so they would not be lost. 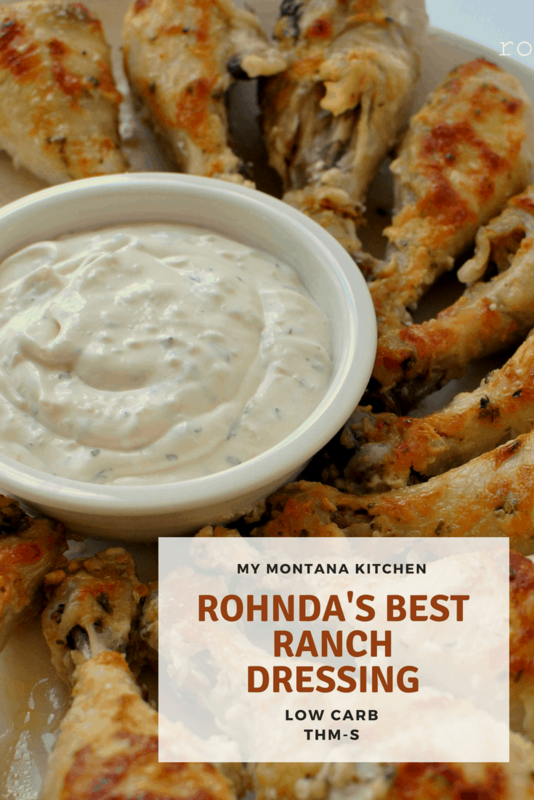 It is such an honor for me to feature her Ranch Dressing here on My Montana Kitchen. If you are a Trim Healthy Mama, you are probably already familiar with her recipe. This ranch dressing was featured in the very first Trim Healthy Mama Cookbook, and has since become a staple in many homes. I have referred people to Rohnda’s Ranch over and over again. 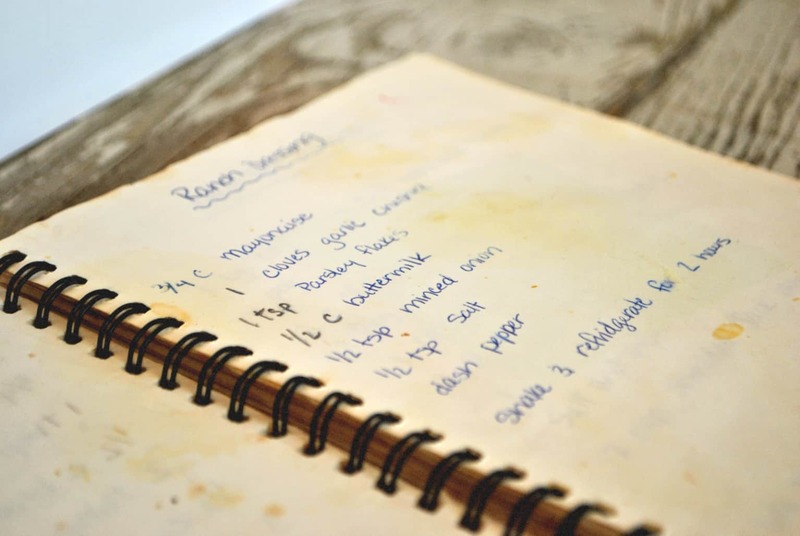 Not everyone has the cookbook, so I am so happy to preserve it here on this blog. My husband enjoys Ranch probably more than any other person I have met. When we first got married, I would only buy Hidden Valley Ranch Dressing, because that was THE brand. It didn’t take very long for my own tastebuds to change, and I, too, began to scorn the off-brands. Ha! 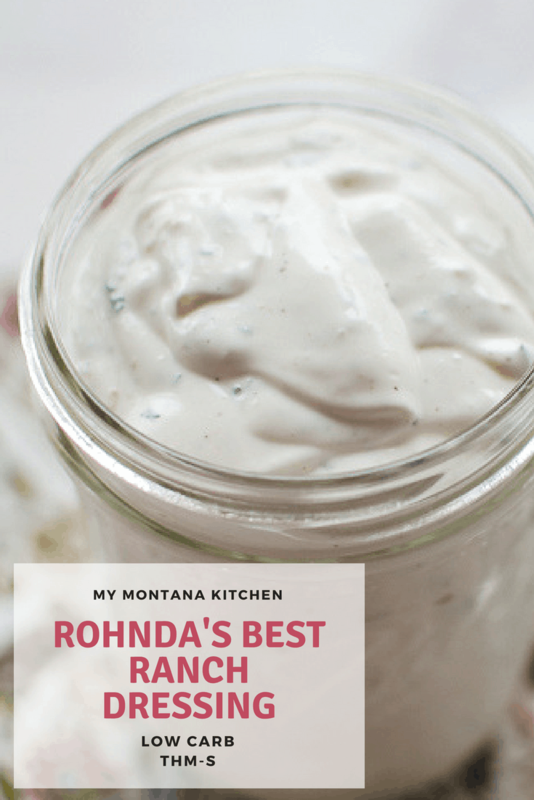 But one day (after I began my Trim Healthy Mama journey), I decided to try this homemade ranch from Rohnda. I was amazed as soon as I tasted it, so I gave it to my husband for the true test. Now, I never buy Ranch dressing at the store for our family, I just make my own! This truly is the Best Ranch Dressing! And it is so much healthier than any store-bought dressing I have found! No weird, un-pronounceable ingredients here! All things that you can find at your local grocery store! Here are Rohnda’s own words, giving a bit of background to her recipe! This makes a rather thick dressing. You may thin it with water, vinegar, or almond milk to your desired pour-ability. This dressing is a wonderful topping for salad, raw vegetables, pickles, pizza, hot wings, … the list goes on. You can even use it to dip your Bacon Pickle Fries! But if you are planning to let your imagination run wild, you may want to double the recipe! Rich and creamy, this Homemade Ranch Dressing will be the best you have ever tasted. And if you have not yet, be sure to check out my brand new, hand curated My Montana Kitchen Amazon store! You can see the products I recommend, all in one place! Pour all ingredients into a medium mixing bowl. Chill for 2 hours and then enjoy! If you like a thinner dressing, you may add a bit of unsweetened almond milk or water. In the fridge letting all the flavors meld together! What was on my fingers tasted yummy!!! Can’t wait for tomorrow to actually try after it’s sat overnight. I only have onion powder. Would that work in place of the dried minced onion? I love that Rohnda is generously sharing her recipes with food bloggers like you–my favorite!–to spread the wealth. I wasn’t that big a fan of ranch dressing until I made hers. Oh. My. Word. It doesn’t get any better than this. I LOVE Rohnda’s ranch and always have to remind my family that just because it’s homemade doesn’t mean it’s free!! They go through it like madmen! Once I found a recipe from Rohnda that was for Italian dressing, it was really good too, but I didn’t write it down and have not been able to locate it since. Any ideas on that? !